Create a delicate necklace with pretty silver plated beads and a shimmering pendant! 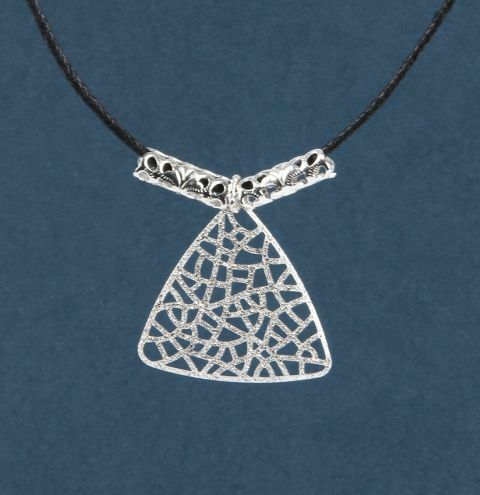 Take one of your jumprings, open it and attach onto one corner of your triangle pendant. Close the jumpring securely. Use your pliers to undo the jumpring that attaches your extension chain to the cord necklace. Thread on one filigree tube bead your jumpring that is attached to your triangle pendant and a second tube bead. Re-attach your extension chain to your cord necklace.